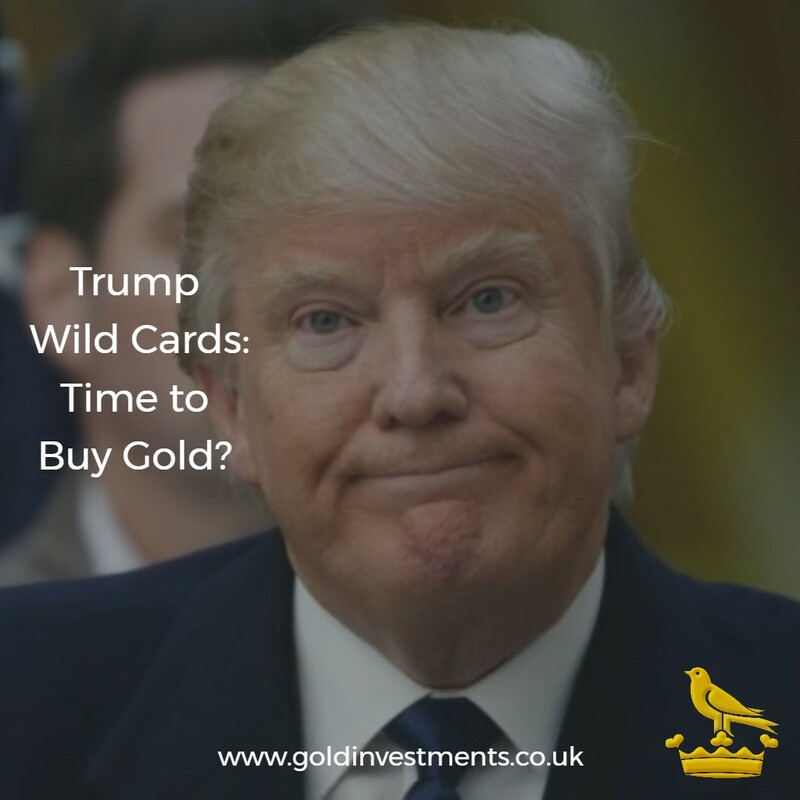 Home / News / Trumps Wild Cards: Time To Buy Gold? Oh how a month is a long time in politics. Oh how a month ago investors had felt more confident about the US economy. Oh how gold has started to shine again, writes Oliver Temple. Even by Mr Trump’s standards, the last few weeks have been turbulent with references to the 1970’s Watergate scandal, which sank Richard Nixon, and the sharing of sensitive material with Russia. There have also been reports – denied by the White House – that Trump persuaded the FBI to end its investigation into former aide Michael Flynn. Commentators are saying that the President is facing one of his toughest times in office. Politicians are beginning to mutter the “I’ word – impeachment. Could this be the start of a huge storm brewing? Whatever the outcomes from Trump’s wild cards, these political storms are distracting to the US growth policies. With a weaker dollar, gold has become more attractive as investors seek ways of gaining better returns. Despite the Fed Reserve announcing several rate rises, bullion has generally been making gains anyway this year. The precious metal tends to do better when interest rates are lower. If impeachment does become a reality, then confidence in the markets would be hit, and hard. Investors would be looking to commodities such as gold as a way of protecting their assets. And this is all against a backdrop of the rising tensions between the US and North Korea and any possible impact from Brexit. Should you rush into gold particularly because of Trump’s wild cards? As one of the oldest bullion houses in the UK, we would advise against this. Gold prices over the short-term can be volatile. Investors should take a medium to long-term view and consider the precious metal as more like an insurance policy. Gold Investing: Which Way Will The Gold Price Scales Tip?